To mount the arcade buttons, we should cut 9 holes on the box. 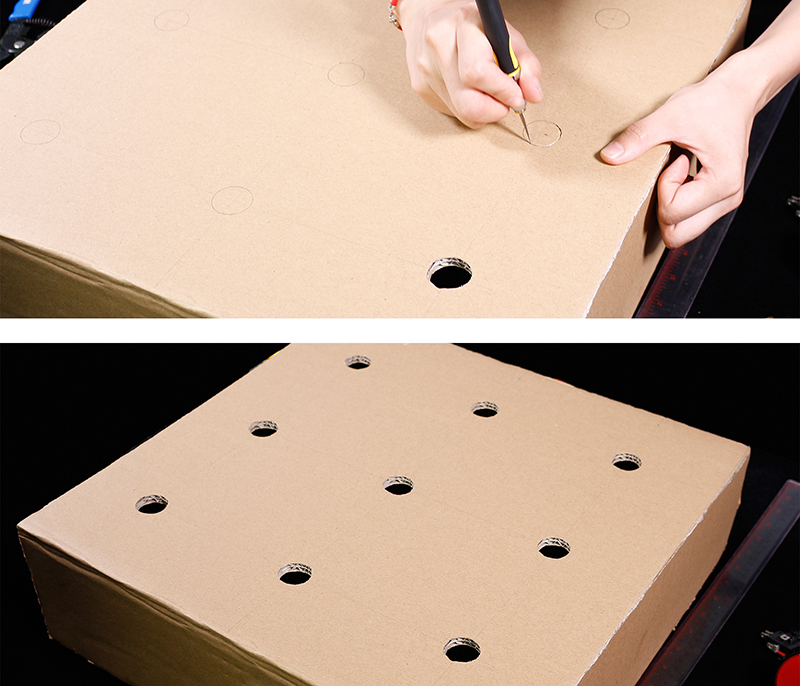 First, place the button shell on the proper position on the box, and trace the outline of the shell on the box with the pencil one by one, then cut out the holes with the knife along the lines. 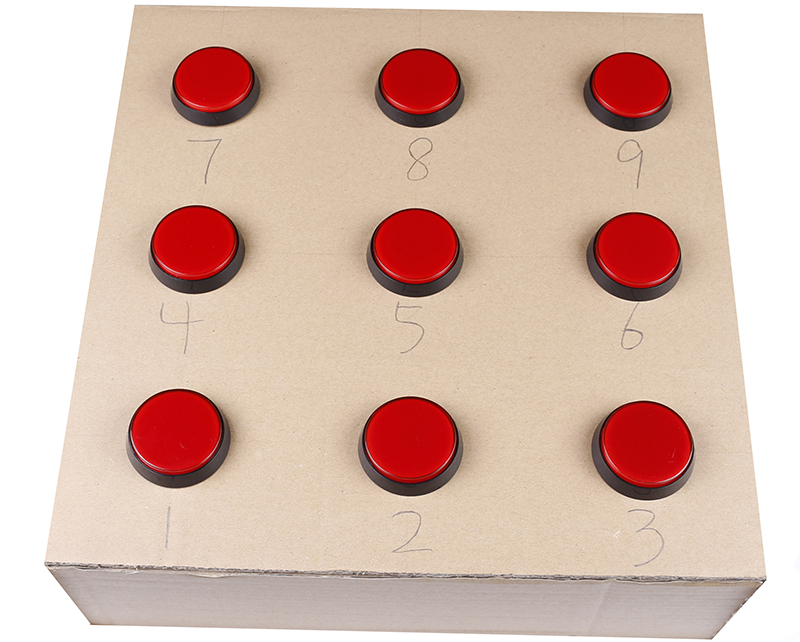 Next, mount the button shells in the box, and mark them with numbers 1-9 (matched with key values set in the code). 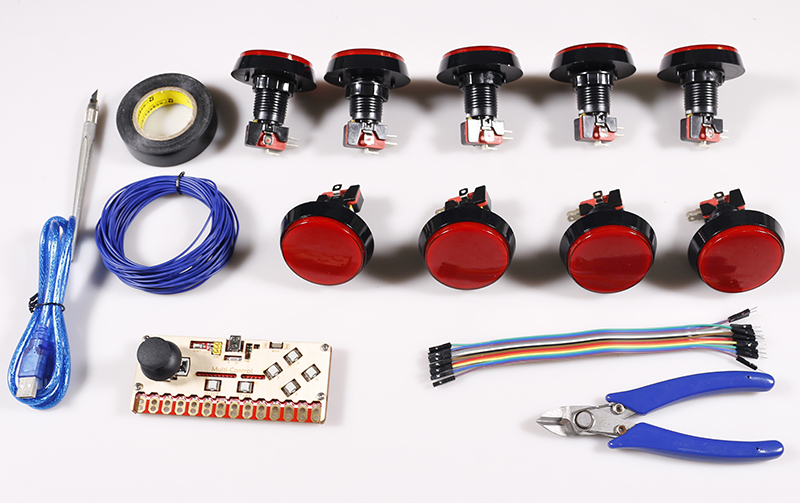 Two pins on each button are to connect an LED (attached with button). 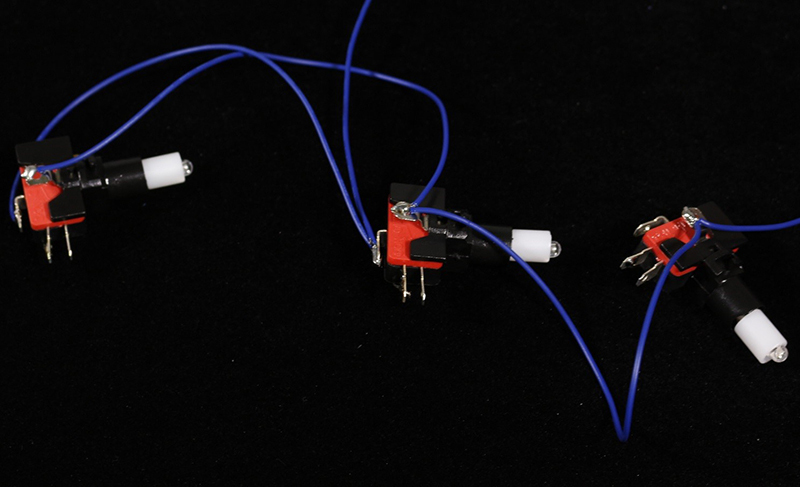 The LED is fixed in a white shell with a resistor connected to the anode. 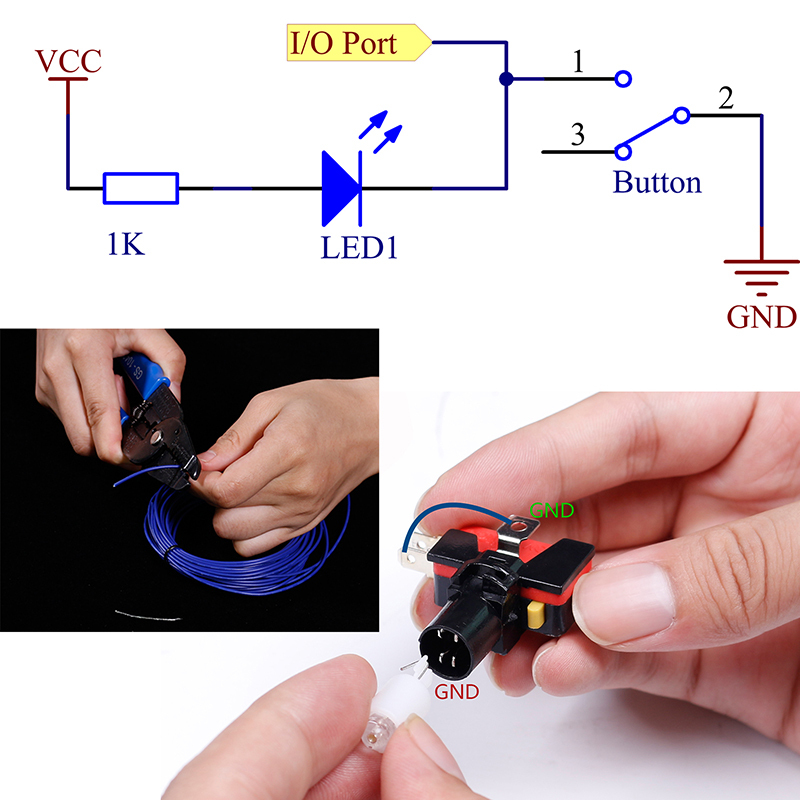 When you insert the LED in the button, the anode of LED connects to VCC, therefore the other serves as cathode, just connect it to the pin ON of the button (as marked on the button). 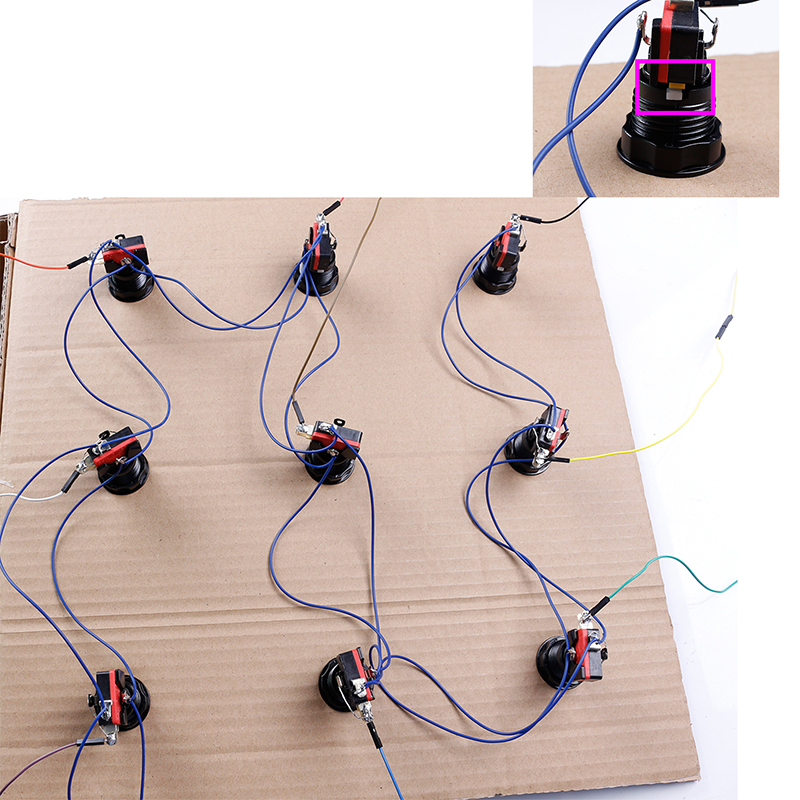 Connect the pins of VCC on buttons one by one, and connect the pins of COM in the same way by soldering, thus the buttons are connected in parallel. 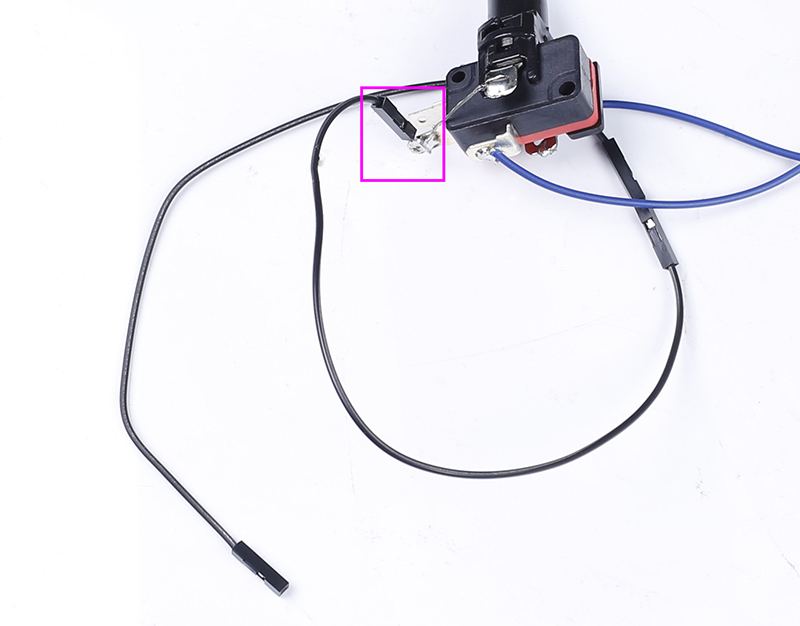 Then solder a male-to-female Dupont wire as the leading wire, so that it can connect to the pin header of Multi-Control. Extend the Dupont wire by connecting another, then we use this as the leading wire for the pin ON of button. Repeat the operations for the rest buttons. After connecting wires, insert the core to the button in order. Note: Align them before inserting, and rotate the cores to fasten. 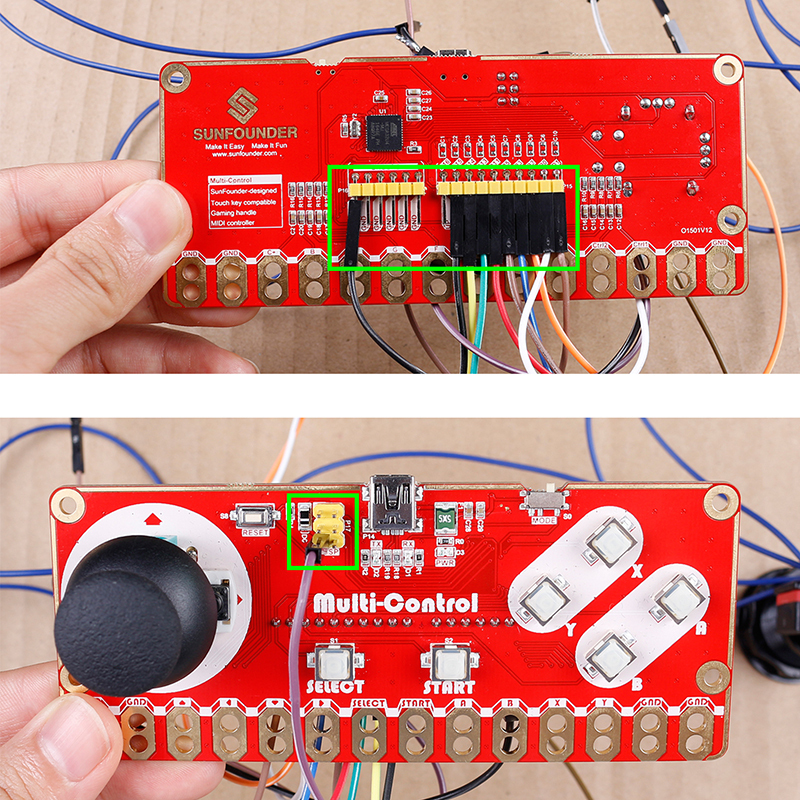 Connect the Multi-Control board to the computer with the Mini USB cable. Go to Github page and download the code for Multi-Control, and unzip it. Then get into the folder: SunFounder_Multi_Control\multi-control-keyboard to run multi-control-keyboard.ino. 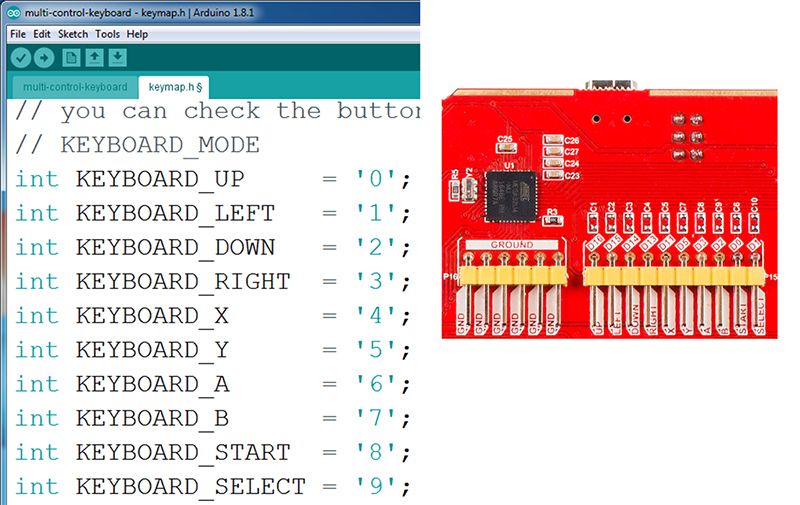 In the Arduino IDE, click keymap.h to modify the key values of the ten buttons. Here I define them according to the pin’s position on the board (designed previously and will be marked later). 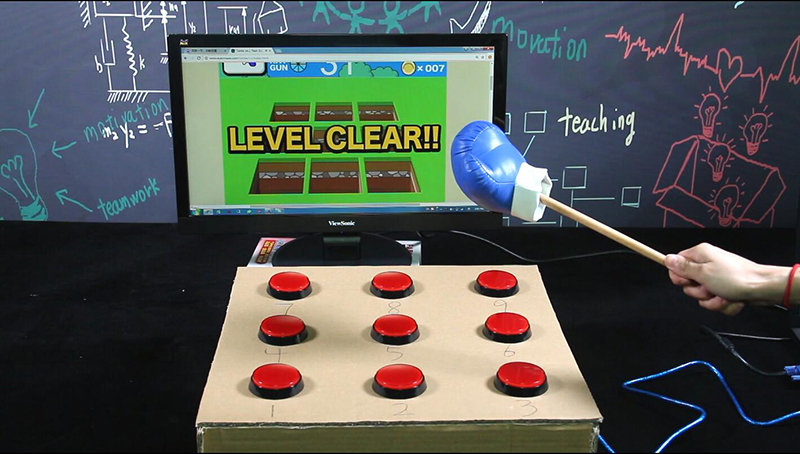 Now, let’s whack a mole!